Day 1: Fly to Iran. The Hotel will be booked for early check in, O/N Shiraz. Greet and get assist from our representative and be transferred to your hotel for check in and rest. 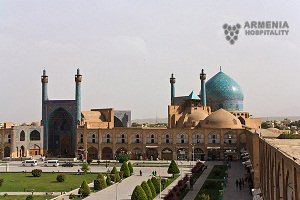 On today’s city sightseeing visit Karim Khan Citadel, Vakil Mosque and Traditional Bazaar. Later also visiting Nasirol Molk Mosque and Eram Garden. 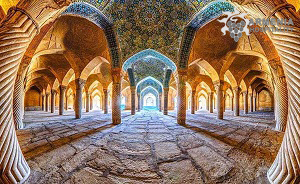 At last, your tour guide will also show you the enchanting Tomb of poet Saadi, Overnight Shiraz. Drive toward Yazd, en route visit Persepolis the UNESCO World Heritage designated, walk through the lively old structure, with its well-preserved and breathe taking style. Afterwards explore charming Naghsh-e-Rostam and Pasargadae, keep driving to Yazd, O/N Yazd. You’ll visit The fire temple of the Yazd, Dowlat Abad Garden, the Jame Mosque and Fahadan Old district. At last also visit Amir Chakhmagh, O/N Yazd. This morning we’ll drive to Esfahan, en route visit Meibod to see The Pigeon House, Castle and Caravanserai of Meibod. Later also stop in Nain to visit Nain’s Jamee Mosque and ruined Castle, then continue our way toward Esfahan, the city of civilization, beauty and also the major top province of Iran, O/N Esfahan. The beautiful city of Isfahan is enchanting and atmospheric, so prepare for your upcoming adventure. Enjoy a full day city tour including Chehel sotun (40 pillars), Naghshe Jahan Square (Ali Qapu Palace, Imam Mosque, Sheikh-Lotfollah Mosque, Bazaar), Overnight Esfahan. 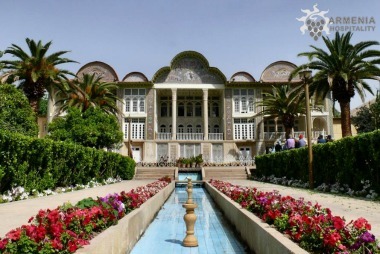 Drive towards Kashan to visit Fin garden, Tabatabaeiha and Borujerdiha house (two historical sites made on 13th century) and Soltan Amir Ahmad Bath. Drive to Tehran (421 km), Overnight Tehran. This morning you will visit Golestan Palace, the UNESCO World Heritage designated .Later on you’ll visit the Jewel Museum. Transfer to the domestic airport to fly to Tabriz. Time to big farewell to Tabriz as our memorable tour come to an end. The early morning after breakfast guided transfer to the Armenian-Iranian border in Norduz. Passport control. 12:00 Change of guide and transport. Continue tour to Armenia, Syunik region. Drive to Meghri. Lunch in Meghri. Then visit the city. 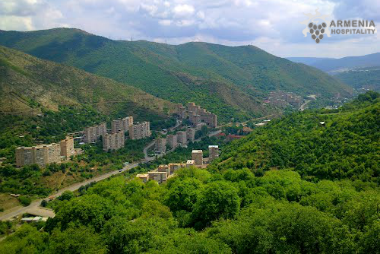 Poqr Tagh is a spectacular neighborhood in Meghri which is famous for its narrow alleys and narrow streets, reminiscent of its historic past and caravanning dating back thousands of years. The neighborhood’s treasure is St. John’s Basilica with its frescoes of the 17th century which have a special value among the frescoes preserved in the Armenian churches, with their sometimes oriental conception. Small walk to the church.Continue to Kapan. The town of Kapan, located at the foot of Khustup Mountain (3.214 m), is the center of the area surrounded by steep mountains, built along the river.Dinner and overnight at hotel in Kapan. After breakfast drive to Goris. The landscape of this part of Armenia is very pleasant and very different from other regions. 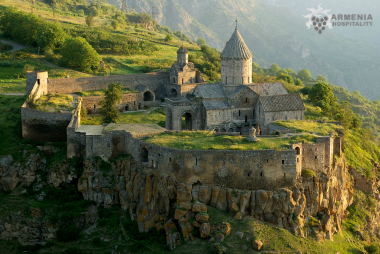 At the entrance of the town of Goris we will change the transport for the visit of the troglodytic site of Kndzoresk. Small hike in the cave dwellings of the site for one hour. Then drive to Tatev by bus. Lunch near Tatev. Tatev cable car which is the longest in the world (5752 m), one arrives at the monastery of Tatev perched on a cliff and known as one of the largest monasteries of Armenia.The cable car offers a beautiful view of the canyon of Vorotan. Return to Goris. Visit of the Old Goris – the small Cappadocia located in the middle of a landscape of caves (10 to 20 meters high) and troglodyte habitat already described by Xenophon in the 5th century BC.Dinner and overnight at hotel in Goris. After breakfast drive to Karahoundj. A short walk to the Armenian Karahoundj-Stonehenge Observatory. 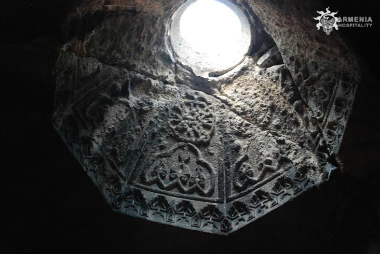 Scientific research has proved that Karahoundj is one of the oldest observatories in the world. Continue to the Vayots Dzor area with its magnificent monastery Noravank. Continue to Areni. Lunch near Areni. Then visit the wine cellar with tasting. In the afternoon driving to region Ararat and visit the monastery of Khor Virap (17th century) built on the site of the “deep pit” where Gregory the Illuminator (288-301) was precipitated for thirteen years. It is here that we can admire the view of the biblical Mount Ararat. Drive to Yerevan, capital of Armenia. Dinner and overnight in Yerevan. After breakfast departure towards Geghard(UNESCO) – then Garni. 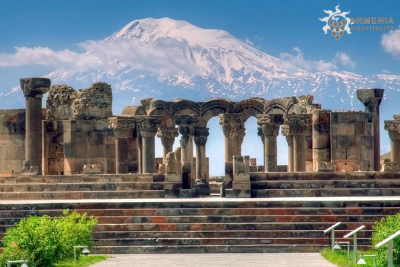 Half way you stop at the arch of Charents, to admire the view on the biblical Mount Ararat if the mountain is visible. Discover the Geghard monastery ,where one of the precious relics of the Armenian Apostolic Church was preserved. From 10 + 1 pax included in the program a concert of spiritual music in Geghard. Duration -25 minutes. Discovery of Garni: Garni is the only monument of the Hellenistic period on the territory of Armenia, and which is famous for its pagan temple. This Roman temple is dedicated to the sun god Mithra. Lunch in Garni where we will discover the process of preparing Armenian bread “Lavash” in the courtyard of a rustic house. Return to Yerevan. Visit the Matenadaran, an institute of ancient manuscripts where many valuable manuscripts are considered the oldest in the world. Then walk to the architectural complex of Cascade. Dinner and overnight in Yerevan. In the morning, after breakfast departure to Echmiadzin, the region of Armavir, holy seat of the Armenian Church. Half-way visit to the Cathedral of Zvartnots (the ruins), architectural pearl of the 7th century. Continuation to Echmiatsin; Visit to the holy places of the Armenian Apostolic Church: the Saint-Hripsime church is undoubtedly the most perfect in the authenticity of its architectural expression. Visit of the Cathedral of Echmiadzine. Lunch. In the afternoon, return to Yerevan. 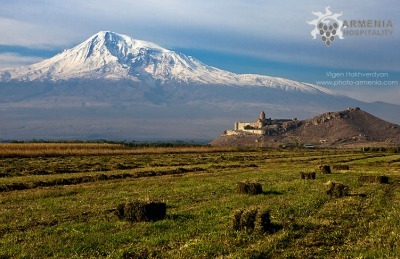 We will go to the Genocide Memorial, facing Mount Ararat, and overlooking the capital. Then a small visit to the Gum market for dried fruits. Dinner and overnight in Yerevan. After breakfast departure to the village of Noradouz. The village is one of the oldest in the Gegharkunik region. The cemetery offers a complete panorama of the khachkar art. Continuation to Lake Sevan – the largest lake in Armenia and one of the largest mountain lakes in the world (1950 m). The original beauty of Lake Sevan remains in the memory for a long time. Visit of the two churches of the Holy Apostles and the Holy Mother of God of the peninsula of the lake. Lunch by the lake. In the afternoon driving to Dilijan and Goshavank, Tavoush region. Not far from Dilijan is the monastic complex of Goshavank, founded in the 12th century by the monarch and legislator Mkhitar Gosh, author of the first Armenian codex. Return to Yerevan. Dinner and overnight in Yerevan. Breakfast at the hotel. Guided transfer to Yerevan airport. Departure.